You may have seen this video on YouTube about Affinity Publisher Beta v. Adobe InDesign. which is in my opinion a massive fail. Affinity Publisher isn't a copy of of InDesign. It's a different operation concept. Think different! I really like what I've seen and tested so far in APub - very good job! I can't see the point of doing bad review or videos for a bêta when it should point to the finished features we are to test and we suppose the other features missing or incomplete are a work in progress they didn't added. Some basic roadmap could have been helpfull for people to focus on some features and wait patiently for other to be finished instead of complaining it's a total failure. I can see good potential in this bêta, and once some major features are finished it'll be able to handle part of some workflow. But for complexe and technical work we'll have to wait for a more mature application, and that's normal. We can't expect a bêta or a v.01 to be a full replacement for apps that take years to develop. You're quite right. So far as I am aware, Affinity have never claimed to be a replacement for Adobe - all that has come from hype and hope from people waiting for Publisher to be released - some no doubt hoping to drop their subscription fees. I also think that calling Publisher a "massive fail" at this point is being both unfair and unrealistic. I don't know where Serif is pitching the Affinity suite, and whether they intend to rival Adobe products eventually. But even if that is the goal, Rome wasn't built in a day. Adobe Illustrator first shipped in 1988. Therefore at the time of writing it has had three decades of development effort with a big engineering team and a big budget. Photoshop first shipped in 1990, so again almost three decades of development, and probably an even bigger budget. And they have Thomas Knoll! InDesign shipped in 2000, so we have 18 years of development on this product. All these products have a huge user community, and they have been providing feedback for decades. 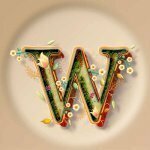 So are the Adobe products more refined and more capable? Of course they are, and it has taken Adobe 20 or 30 years to get there. I have worked in software development (also for decades) and I understand how long these things take. Hats off to Serif for even starting this project. Its always easier not to. 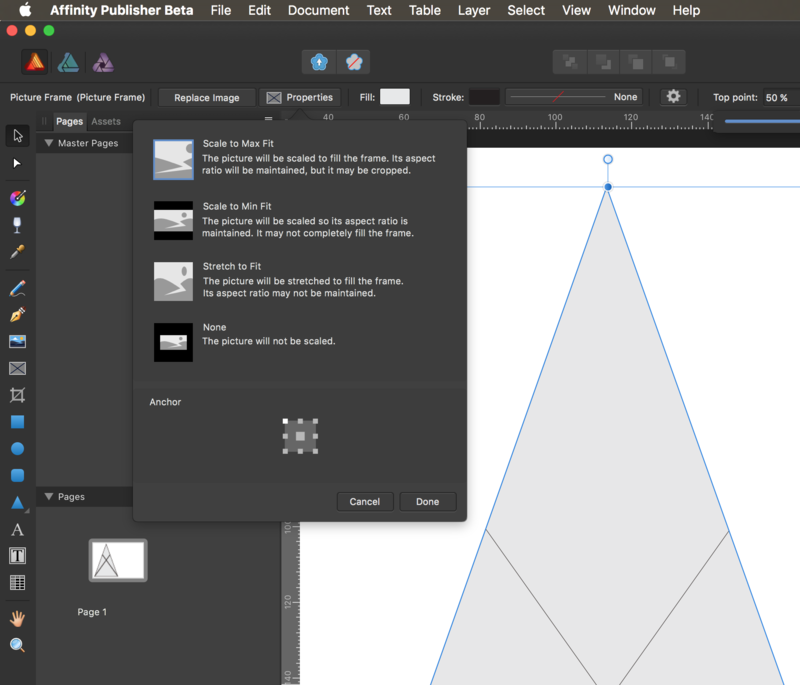 What we are talking about with Affinity Publisher is a beta of a V1 product. So yes, it is going to have bugs and shortcomings compared to a product that has been shipping for 18 years. Even if the development team want to eventually build something to rival InDesign or Quark Xpress, that isn't going to happen with V1, or V2, or probably not V3. If they tried to do that it would never ship anything, and Serif wouldn't sell anything and they would be out of business. This is a work in progress, as is all software. Nothing is ever finished. The same applies with Affinity Photo and Designer. They are "finished" products (i.e. they are shipping as V1.*). But to expect them to be a feature for feature matchup for their Adobe counterparts at this stage just isn't going to happen. I for one would love to see an "Image Trace" feature in Affinity Designer to match AI, and also better "Content Aware" technologies in Affinity Photo to match PS. One day perhaps, but give them time. With any software product from any manufacturer, V1 is always about "time to market". You have to establish a revenue stream to fund further development. They are trying to build a suite of products. I'm sure they know we need a file browser to stand up to Adobe Bridge, and a RAW processor to match Lightroom. But one step at a time. It has taken InDesign 18 years to get where it is today, and Publisher will also mature over time I'm sure. For what its worth from my first look at Publisher I am encouraged. But its a beta, and that's why we are all here, to contribute to the development effort. Yes I have posted some items and made comparisons with InDesign. but that's because I'm used to that product. I don't expect a feature for feature matchup on day one. I wonder if Paulus came here to check any of his problems before he posted that? We are so far behind answering queries at the moment he may well have. If anyone knows the answer to any query you read, feel free to nudge the new users in the right direction please. Hopefully by next week we will be back on top of the initial rush. I wonder if Paulus ﻿came here to check any of his problems before he posted that? We are so far behind answering queries at the moment he may well have. If anyone knows the answer to any query you read, feel free to nudge the new users in the right direction please. Hopefully by next week we will be back on top of the initial rush. They say, any publicity is good publicity. I'm inclined to agree with that. I'm having some problems with text based stuff, but working it out as I get to know the program better. I'm loving AP! I also think that calling Publisher a "massive fail" at this point is being both unfair and unrealistic. I don't know where Serif is pitching the Affinity suite, and whether they intend to rival Adobe products eventually. It has actually taken InDesign a whole lot longer because Adobe bought out Aldus, the original creators of Pagemaker. InDesign had to change some features in order to claim the copyright, but InDesign was just a retooling of Pagemaker, with some additional bells and whistles thrown in along the way. And not all of them either necessary or very nice, I might add. I was using Pagemaker v.3.0 (I think) back in 1988 or 1989. Approximately 30 years ago. I am stunned that some are so impatient with this beta and have a sneaking suspicion that the person who made the video on UTube (see entry above) was conceivably an Adobe employee. Nothing like trashing the prospective competition!!! Great job with symbols! 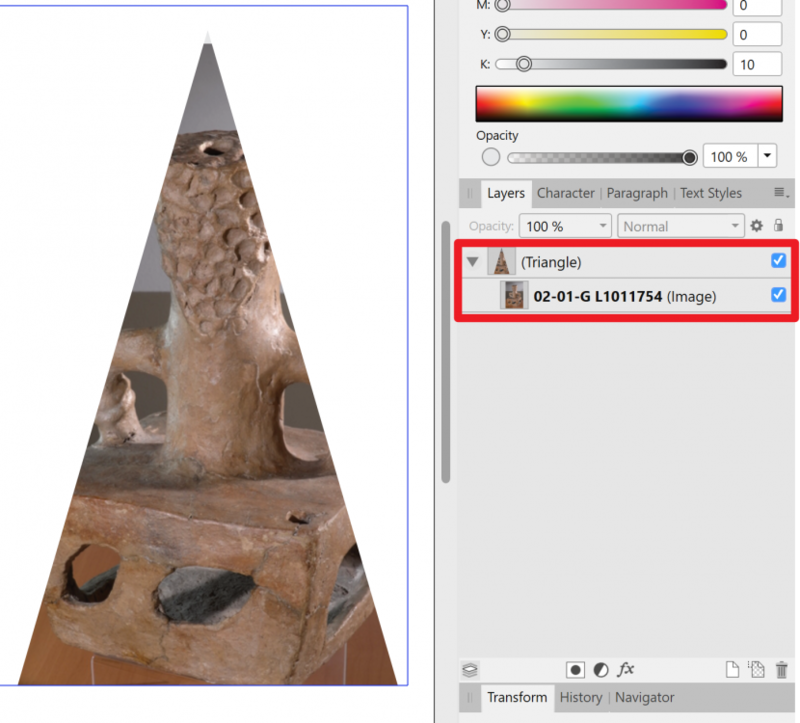 But did you try after creating the triangle just go to Layer>Convert to Picture Frame? It would save you a hard work of creating additional picture frame and nest it into your triangle. Or am i missing something? You are absolutely right @aleale1. @IndigoMoon mentioned that too! Great function. Thank you very much! You never stop learning. No, InDesign was a completely new codebase. ID & PM shared zero code. Adobe bought Aldus explicitly for the application code which became ID. Aldus gave up trying to update PM as its code was obsolete and becoming unmanageable and began an entirely new application intended to replace PM completely. There was no issue as regards "copyright" as all intellectual property from Aldus was purchased by Adobe. Adobe kept patching PM (and selling licenses) once the sale went through in 1994 as well as working on what would become InDesign, which was released in 1999 (29 years ago last Friday). Adobe effectively killed PM once ID 2 was released (they stopped patching it at that time). It wasn't until version 2 that anyone I knew even bothered to think about replacing QXP. So, I'm starting to test out AP, and read this. Can't watch the video review at the moment. So, the question is, "what is Affinity supposed to beat out initially?" I work at a print shop, come from a newspaper background. At first blush it seemed like AP would be a good match for me for home use. I'd like to know if it can be more, and maybe give me enough reason to stop my Adobe CC subscription in a year or two. We don't do anything I'd consider "advanced" at the shop - we only just started doing variable data imposition in InDesign, but everything else is pretty basic. Sort of your "Do you need Microsoft Office or will Libre Office work" situation. One of our best, highest volume customers uses Microsoft Publisher. I mean, they freakin' standardized on it. We're not going to tell them "no" even though the files are a constant source of irritation and problems ranging from color to bleeds to fonts. I'd like to be able to suggest a good alternative. We've got a few customers who use Pages, Canva, and other things. We want them away from those options the sooner the better. I'd even suggest Microsoft Publisher over these due to the problems they've caused us. I just finished a whole program for a convention using InDesign, and while I don't reasonably expect to import an indd/idml file to AP, I'd like to know if this sort of project is reasonably within the scope of what AP is meant for. I don't need it to be good enough for me to replace Quark and InDesign right now. But, I do want it to be good enough that I can get folks to kick some other products to the curb sooner than later. While I do not recommend using a beta for production, Affinity products, including APub in its current state, are capable of high-quality output. It is always a question of if garbage in, is it garbage out? I think that if you can obtain good results with the client using MS Publisher, you will be able to get good results (better results) with clients who may make a switch to APub. It just has better, professional-quality output than is capable from MS Publisher. The harder thing would be getting them to switch from Pages, Canva and other applications. People just tend to not want anything to disrupt their work-flows. As regards the question of "what is Affinity [Publisher] supposed to beat out"? Nothing per se. It's an alternative to using other applications for layout and that's what it will always be even after it gains capabilities over successive updates/versions. I would recommend continuing to review it and not recommend it until such time as it meets or exceeds the ability to create the types of work you get in. Depending on what those jobs are, that point in time will be sooner or later. But no one can tell you when that point arrives. Whether the discussion is about smartphones or page-layout apps, I find discussions about copying versus innovation pointless. A smartphone has to fit a narrow range of shapes and sizes. Given that, the tweaks that smartphone makers can achieve matter little. Page layout apps are the same. What one does another must do. Calling that copying makes no sense. It's complaining that the second car ever made copied the first because it also has wheels. I've been using InDesign for about fifteen years and I've watched how it has grown. I'm no more concerned about where Affinity Publisher resembles ID than I was the ID resembles Quark Express or Pagemaker. Apps that have similar tasks will have similar features. Looking at the beta of AP, I'm impressed. Since its to-do list included a lot of features that ID took years to add, I'm impressed with how much smoother many of AP's features are. Thus far I've only developed two gripes with AP—or at least AP as I have perceived it. 1. Page-layout apps typical handle styles in two different ways. One way is to define a bit of text in some way and turn that into a style. Those doing magazine layout find that appealing. The other way is to create a new style from scratch and define what it looks like without looking at it. I layout books and have created thousand of styles. I don't need to look at or bother with seeing as I create. Stick that in my create-a-style workflow and I get ticked off. The tutorials from Affinity that I have watched seemed to stress the first method. As best I can tell, the other is also an option that is easily used. I hope that is true and that option can remain. 2. There's one aspect of AP that I flat out don't like. That's the repeated mention of "text styles" to refer to both paragraph styles and the styling of text inside paragraphs. In ID text and paragraph styles work quite differently and the distinction the app makes between them is a good one. I don't want to see that distinction muddled. There's also another factor. The books I work with in ID often have hundreds of paragraph styles and dozens of text styles. I have enough trouble managing the resulting long lists. Creating confusion between styles that apply to paragraphs and those that apply only to a selected text only make matters worse. Paragraph and text styles are as different as dogs and cats and need to be treated as such. I think what the original complaint video shows — aside from the original plaintiff being short-sighted and impatient — is that with professional design apps there is often "more than one way to skin a cat." People develop habits over a long period of time to achieve some specific output in an app, and when a new app comes along and does it a different way, the people looking for something new say that the new app is doing it the wrong way. We all have to be careful about this, making sure our feature requests don't amount to "this is wrong because it's not the way InDesign does it." There are some things missing which are obvious and need to work like InDesign and other apps — like standard bleed controls and previews, sync locks for margin and bleed settings dialogs, and number of pages when setting up a new document — that need to be added before this is ready for prime time. Other things are less obvious. Example: Initially I find the Page Break controls behave differently than expected and more complicated than they need to be. But after some discussion and additional tests I can at least see why it might've been done differently. So now I take the position that while it could be made simpler — my opinion hasn't changed there — the solution might not be "make it work like this other apps," but "give us a preference for the default behavior to work like the other apps." Bottom line for InDesign and Quark users, it's reasonable to expect that certain kinds of standarized features and commands will look and behave similar in Publisher, but it's less reasonable to think that multi-step workflows will look alike (or should look alike). InDesign is a good application overall and superior to Quark IMO, but it has grown some warts and the idea of a new app is to find the weak areas where Adobe has failed to innovate or to make things simple enough (or stable enough or fast enough), and do better. Perfect example: even though the UI is divided up in strange ways (IMO), look at the power of the text wrap (outline) controls in Publisher compared to InDesign. That's the kind of stuff we're looking for IMO. What Adobe has done well (and which is not patented or otherwise legally prohibited from being copied), Affinity should follow that lead — don't fix what isn't broken. And what Adobe doesn't do as well, or for things that have no well-agreed-upon workflow (like the one the original video complained about), Affinity should do something new if they think their way is faster or more intuitive. We should all expect to unlearn some habits; that's unavoidable. Where we should focus is things we know work well and with minimal clicks in other apps, that are less efficient or produce a worse result in Publisher. IMHO. I don't think the example in the original video qualifies. We use "Character styles" for styles that apply to a range of characters, "Paragraph styles" for styles that always apply to whole paragraphs, and "Text styles" for both or either. So this may be just a different terminology to get used to. We have a third kind that we call "Group styles" which don't get applied at all. These are used to organise styles into a hierarchy. If you have hundreds of text styles in a single document, you might want to turn on Show Hierarchical in the hamburger menu top-right of the Text Styles panel. That should help deal with the long lists. We're deliberately flexible, so group styles can carry formatting, or not, and we also allow character styles to be based on paragraph styles and vice-versa, as well as allowing both to be based on group styles. Yeah for sure it's not there yet / not ready for an initial release. Too many nuts-and-bolts features missing for production work, but it's reasonably close and for some things it's already better than InDesign. It could be done even easier. 1. Draw an object (triangle). 3. Put the picture inside the triangle like in the picture. If you just use the layer technique like in Affinity Designer you will not have the Picture Frame toolbar e.g. the Picture Frame Properties. That concept doesn't work for me as well. This concept works only for users who have too much time. I've only had a limited amount of time to play with the beta but I'm interested if anyone has found anything that Publisher does, or improves upon, in terms of like features or workflows over InDesign? I jumped shipped on Quark when InDesign was first launched years ago because I liked what the program offered and in my opinion improved on, but aside from price I'm curious to see what those who have more time to explore have found.